Vape pens are small fast and effective. Small enough to slip in your pocket, strong enough to rival a rig and discrete enough to use anywhere! 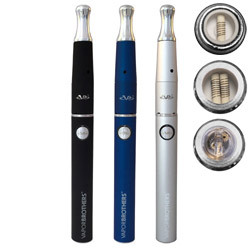 Learn more about vape pens below. 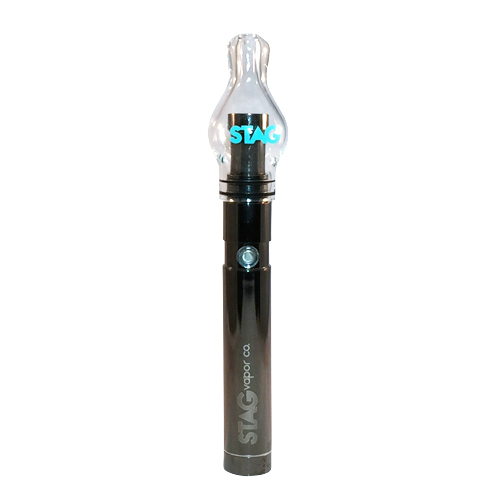 The Stag Vapor Co. Globe Vape Pen Kit features a glass globe heater plus a 510 thread EGO battery. 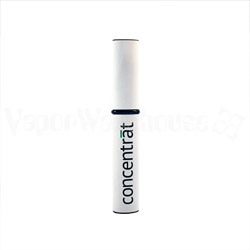 A vape pen is a vaporizer that is designed to be about the size and shape of a pen, hence the name vape pen. In reality they vary in size from much smaller to a pen to the size of a small flashlight. Vape pens started out as electronic cigarettes which contained a small atomizer and a wick designed to replace cigarettes. 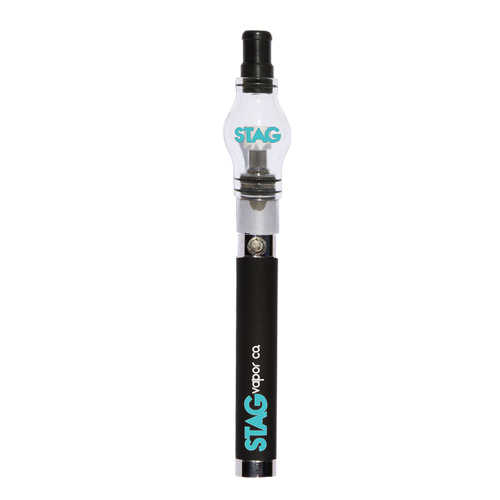 Vape pens have evolved now to support many kinds of materials including dry herb vape pens and wax vape pens. How well do vape pens work? Vape pens work great for wax and liquid. 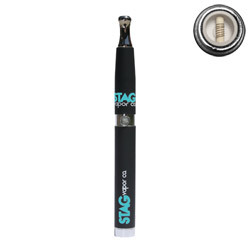 However there are only a few vape pens we have tried here at Vaporwarehouse that work well for dry herb, which is why we currently do not have a dry herb vape pen for sale. We are close to finding one we like however so keep checking back. A vape pen consists of a rechargeable battery and a heater, skillet, or atomizer (shown in picture). The two main types of skillets today are the wire and wick or ceramic. 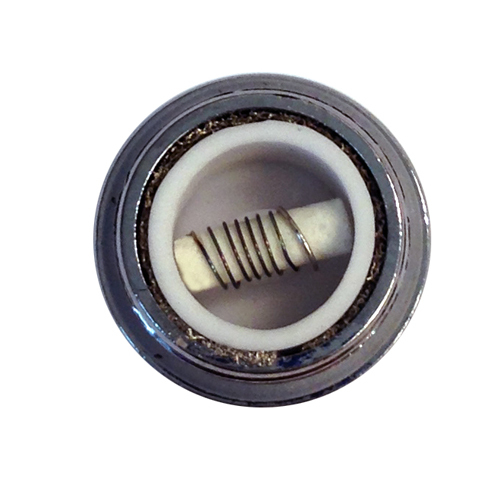 The wire and wick has a wick made of ceramic, glass fiber, or quartz. The wick is wrapped with a wire usually made of Titanium or NiChorme. The wire heats up and vaporizes any material on or near it. The other type of skillet is a ceramic dish or donut. In this skillet there are no exposed wires and the ceramic dish heats up to produce the vapor. The ceramic skillets vaporizer at a lower temperature and produce smaller cooler vapor clouds, where the wire and wick skillets produce large clouds which can be harsh. The best vape pen is a matter of personal preference. Many of the pens on the market are very similar, all utilizing similar technology. If you want cool smooth hits you should look for a vape pen with a ceramic dish or donut. If you want the largest hits possible look for one with a wire and wick. 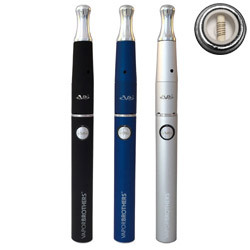 Our favorite pen is currently the VB11 Vape Pen which has replaced the Dabbler vape pen. How long will my vape pen battery last? 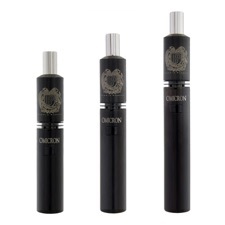 The life of your vape pen battery of course depends on the size of the battery and the frequency of use. The typical battery sizes are 350mah and 650mah. Ceramic dish and donut heaters tend to drain the battery faster than the tradditional wire and wick heaters. The battery on the VB11 vape pen generally last 1-2 weeks for the average user and even heavy users usually get at least a week. The VB11 has a one year warranty on the battery. Do I have to clean my vape pen? Vape pen care consists of battery care and vape pen skillet cleaning. Be sure to keep your battery contacts clean at all times. With the skillets less is more when it comes to cleaning, the best way to clean a skillet is to just vaporize off all the material inside each time. How long will my vape pen heater last? Vape pen heaters have variable lifetimes that depend on frequency of use, material used, and the voltage of the battery. The average life of a skillet seems to be about 1 month, however we have some skillets here that have been going for much longer. The most important factor for lifespan is to carefully fill your skillet and never touch the wires with anything, particularly not a metal tool which can short out your skillet.